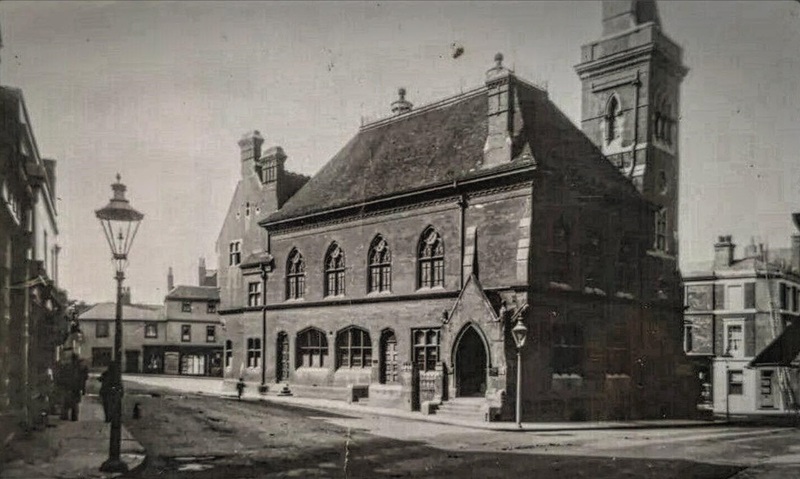 Market Square is the centre of the Old Town which until the coming of the railway in 1858 comprised a single street. The Market Charter, to hold a market every Tuesday (later changed to Thursday) was granted to Bishop Gandalf (the Bishops were the Lords of the Manor) by King John in 1205. The limits of the town are still marked by existing buildings – Bromley College in the Upper High Street and Tweed Cottage, now Barclays bank in the Lower High Street. 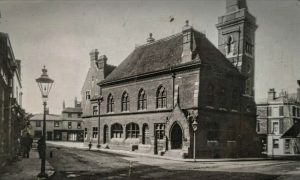 There is a post about the Old New Town Hall, built by Coles-Child from his own bricks, that stood in the centre of Market square before the current buildings replaced it in 1933. Behind the town pump is a 1950s building, which occupies the space that used to be Dunns. 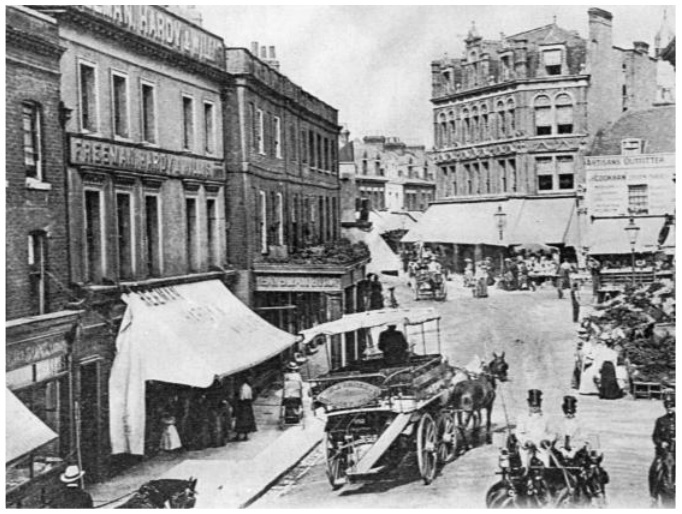 Dunn’s was established in about 1735, trading as “furnishers, upholsterers and undertakers”. The business became best known for its furniture design and had a large shop in the Market Square which was destroyed by bombing in 1941 (see Royal Observer Corps Association page). The business rebuilt the shop which eventually closed in 1980. This entry was posted in Uncategorized and tagged Dunns, Heritage Buildings, LBB-Bromley-North-Trail, Market Square. Bookmark the permalink.